According to the latest BP Statistical Review of World Energy, coal consumption grew 5.4 percent in 2011 and coal production grew by 6.1 percent, giving the resource a 30 percent share of the global energy market. 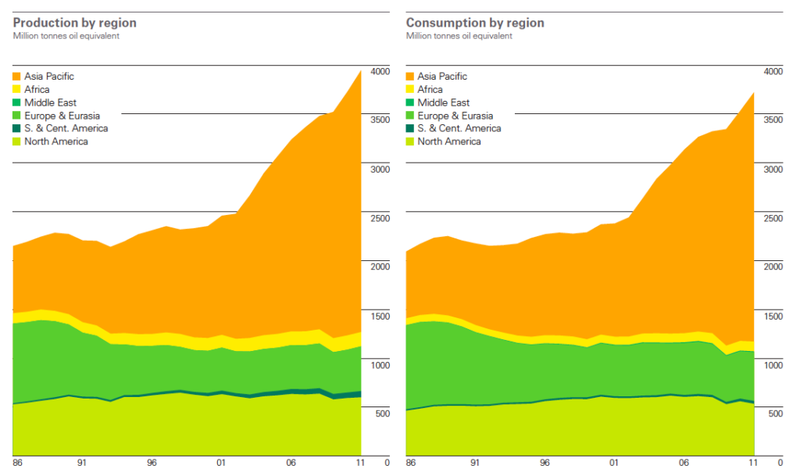 The steep decline in U.S. consumption was offset by a massive increase in the Asia Pacific region, which accounted for all the net growth in 2011. Some of that coal undoubtedly come from the US. But the reason coal use is down in the US is not because of environmentalists but because of cheap abundant natural gas. But your comment does highlight an important point: it isn’t enough to stop coal fired power plants if you don’t at the same time stop the coal mines. In other words the coal needs to stay in the ground, but be shipped out and burned elsewhere. Additional export terminals are in the due dilligence stage in Washing state and Oregon.